We supply and install a wide range of Natural Stone products. 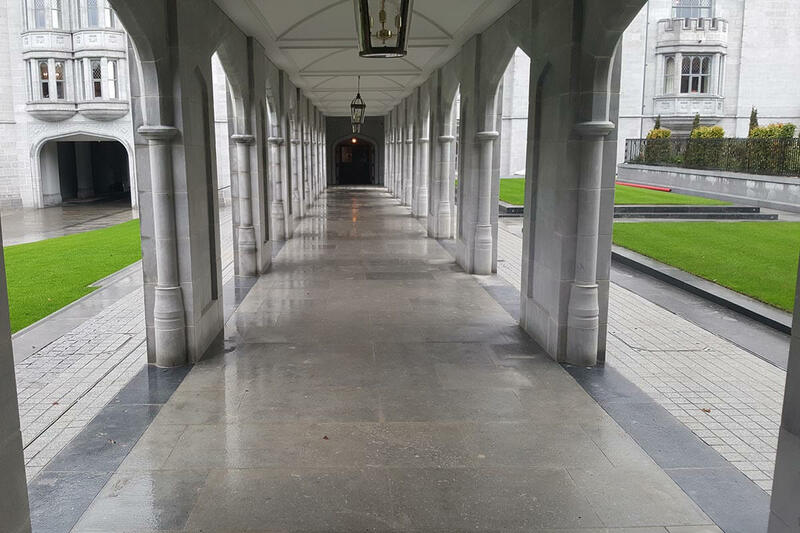 Predominantly granite, limestone, sandstone, porphyry and yorkstone paving. These are available in flags, setts and cobbles. We use only the highest quality materials to suit your style and budget. We can supply to standard sizes but will meet any bespoke requirements in terms of size, colour and finish. As well as locally our product is generally sourced in Europe and China. We can offer a wide selection of concrete and clay products to various sizes and colours. 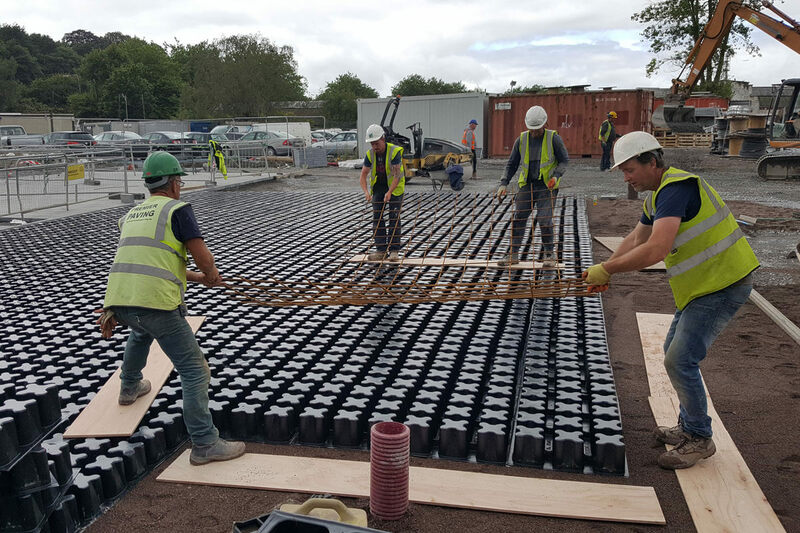 We have developed strong relationships many of the leading manufactures which allows access to a wide selection of clay and concrete product paving types including flags, blocks and setts. 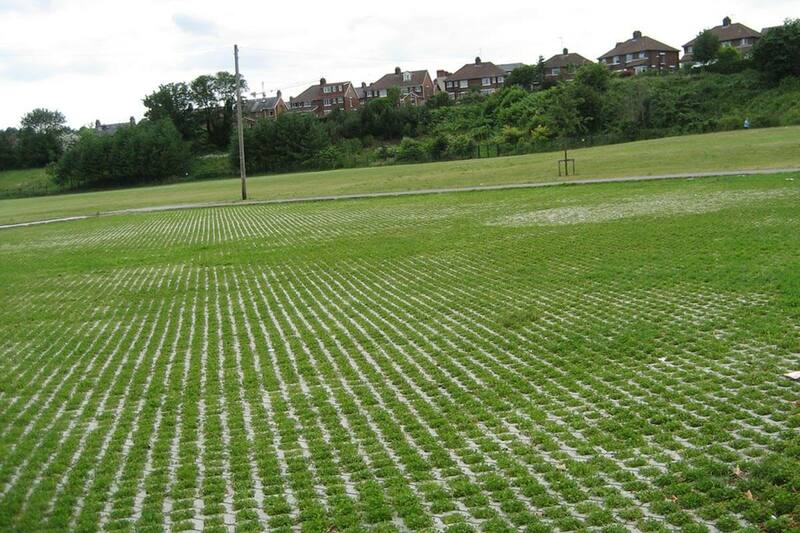 Grassblock is a concrete paving system which combines a durable hard standing while providing a grass finish. The paver is generally filled with a soil and sand mix which allows for grass to grow and create a system that is environmentally friendly which allows for pedestrian and vehicular traffic. Sometimes confused with grass blocks this is and in-situ concrete system which offers structural advantages over grass block. It is cast on site with styrene void formers. We recently supplied and installed the grasscrete system to new Pairc Ui Chaoimh stadium to great success. 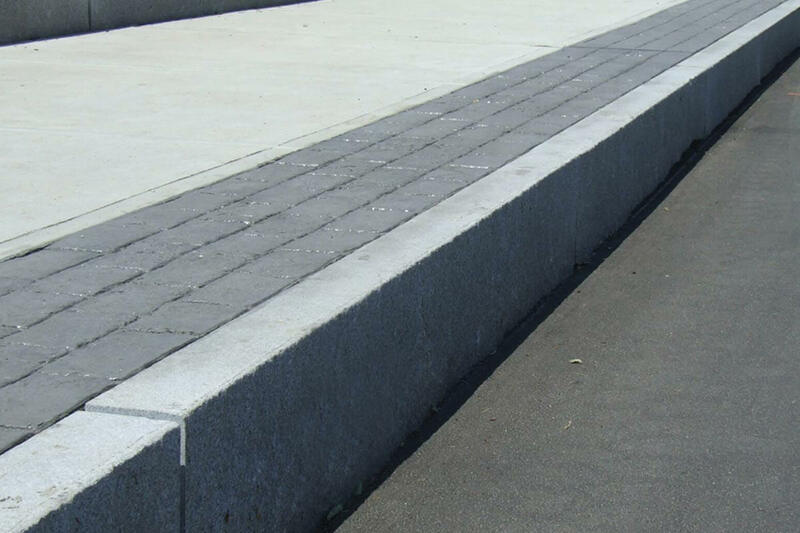 We supply and install kerbing to meet all meet all requirements. Like our paving solutions kerbing can be provided in a wide variety sizes and finishes in both stone and concrete. Whether off the shelf or to bespoke we will meet requirements including, straight, radius, dropped, transition, corner or angled pieces. Drainage is an integral part of any paving project. In this regard we work with contractors and clients to ensure drainage systems work. 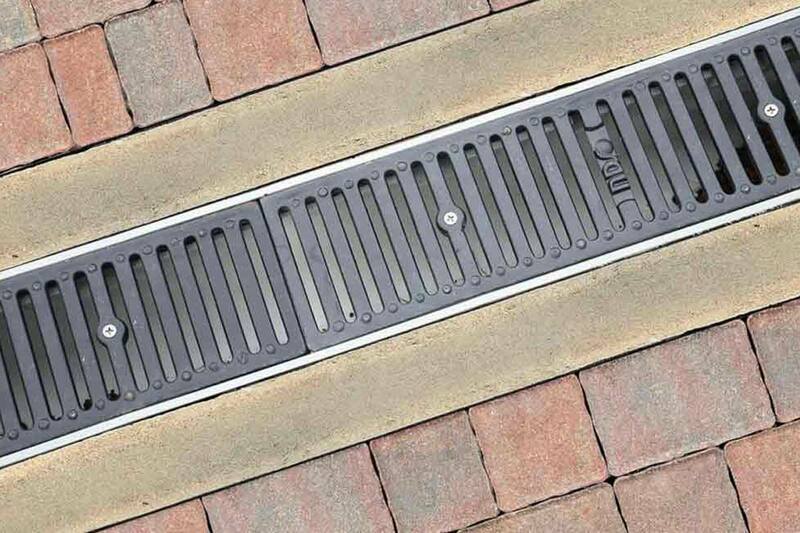 Not just is creating the correct falls but we will supply and install drainage ironworks including gullies, channels and slot drainage systems. We also stock a wide range of Sealers and Paving Accessories to meet builders/landscape architects/designers requirements. There many advantages to sealing particularly in terms of reducing time and expenditure on maintenance. This ultimately adds to the aesthetic of the surface. 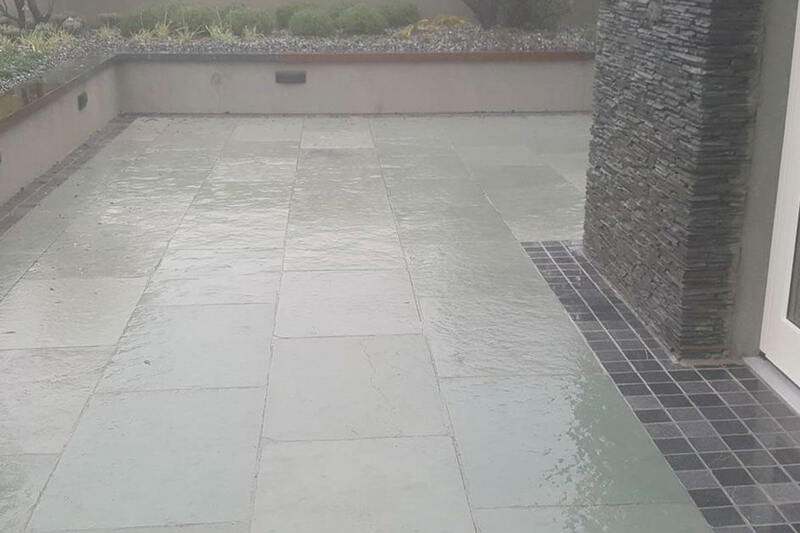 At Premier Paving, we have a range of protection and cleaning products to satisfy all project requirements for the concrete, pre-cast, paving, conservation, restoration, public, and commercial sectors. We have experience successfully implementing solutions for projects of all sizes with clients all over Ireland & United Kingdom.